What We Can Do For Your Patients With Foot Problems ? When you have determined that a patient needs some sort of prescription footwear, consider J.T. Murdoch Shoes. Historically, you probably sent the patient to a shoe store that “specialized” in orthopedic shoes. A store of this type was usually staffed by shoe salespeople. Some of these salespeople may have been very good, but there was no guarantee. There were no standards for the people dispensing the orthopedic shoes. 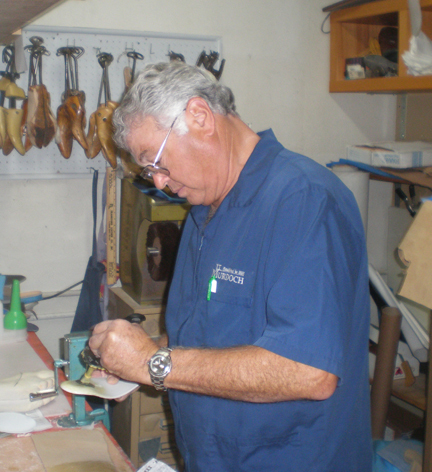 What was needed was a blending of the knowledge of the shoe salesperson, the craftsmanship of a shoemaker (to make necessary modifications), and the medical concerns of a physician, and of course, a deep understanding of the patient’s unique footwear needs. Fortunately, you can now send your patients to a Board Certified Pedorthist (C.Ped.) at J.T. Murdoch Shoes. The Certified Pedorthist provides prescription footwear and related devices to patients referred by the medical profession. They do not diagnose or prescribe, but use their expertise to provide the footwear specified by a physician’s prescription. They have knowledge of anatomy and diseases of the foot and ankle; are aware of the types of shoes and related devices available, and know how to make shoe modifications. Most importantly, they have demonstrated their knowledge and ability through the certification process, ensuring a high standard of competence in dispensing prescription footwear and related devices. In addition, to its large and varied inventory of shoes, J.T. 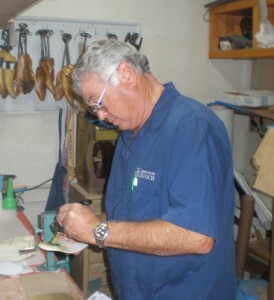 Murdoch Shoes is handicapped accessible, provides a private fitting room, and fabricates all custom inserts and shoe modifications in its own on-premised laboratory.